Average 4.4/5 out of 50 total votes. 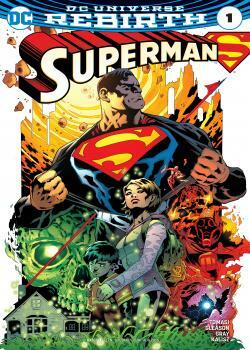 "THE SON OF SUPERMAN" Chapter One The Last Son of Krypton must decide whether to help his young son use his new and rapidly increasing abilities, or hide them from the world. THE CREATORS: The team supreme that brought fans the adventures of Damian Wayne in BATMAN AND ROBIN returns for the adventures of Superman and his offspring.